The garden borders on the southbound platform of Pinner Station are admired by many commuters, and indeed in 1966 received an award – see: https://en.wikipedia.org/wiki/Pinner_tube_station. For many years The Pinner Association have maintained these well loved features as an amenity for all who use our Metropolitan Line station. However, mature and exuberant planting has been causing some problems and the borders need refreshing. At the back of the borders some plants have grown excessively tall (and broad) and have had to be shortened, as they were blocking the TfL CCTV camera visibility of the platform. 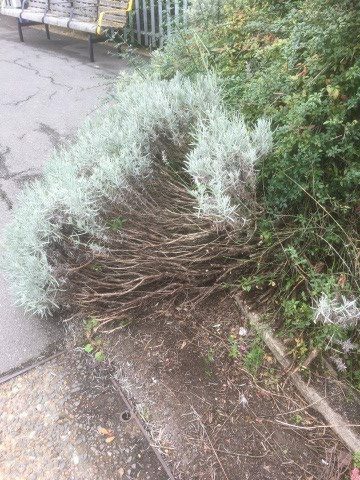 Shrubs that have grown too high in front of the “PINNER” signs have had to be pruned or moved. At the front of the borders, many plants, including some of the lavenders, had spilled far out over the edging of the borders onto the platform and are having to be cut back as they could have been a potential trip hazard. The lavenders are so much loved [with commuters surreptitiously stroking them as they await their train] that more lavenders and scented shrubs [e.g. Rosemary and Choisya] will be dotted in as the borders are refreshed. And in the middle of the borders, some plants have just reached an age when they need replacing. 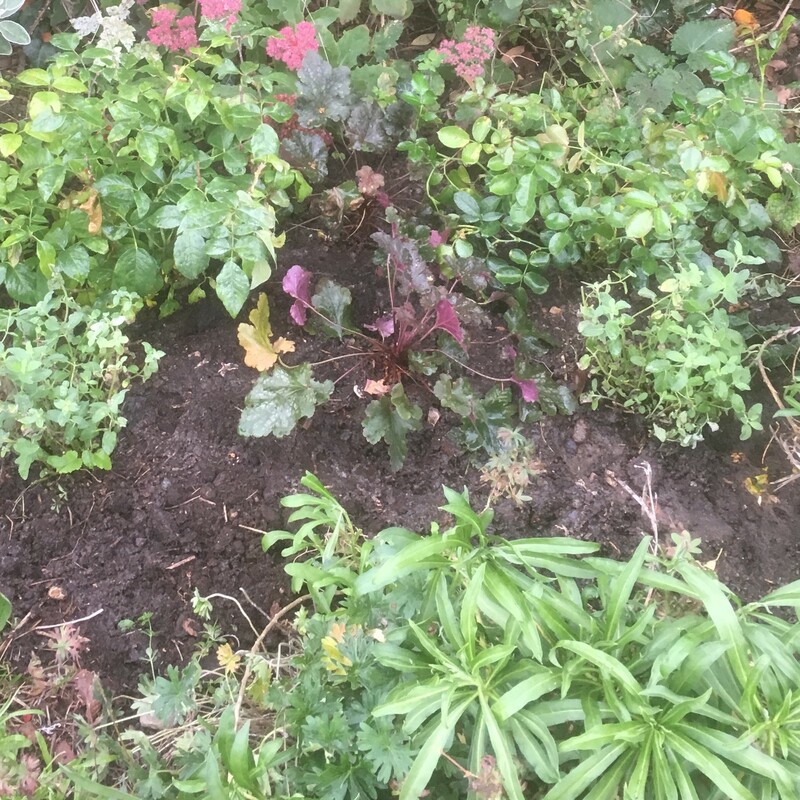 Over this summer some tidying has been done and some plants replaced including replacing some old and tired roses with new roses [“Louisa Stone” and “Spirit in the Sky”], Nepetas [“Summer Magic”], and Heucheras [Blowed If I Know the variety- aka “BIIK”]. Elsewhere in the borders herbaceous planting has been renovated with Phlomis russeliana, Salvia forsskaolii, Geranium “BIIK”, and Verbena bonariensis. This is not an “all change” operation. The borders hold many excellent plants that simply require sympathetic pruning. There will be occasional further reports from our Pinner Association volunteer gardener as the borders develop.